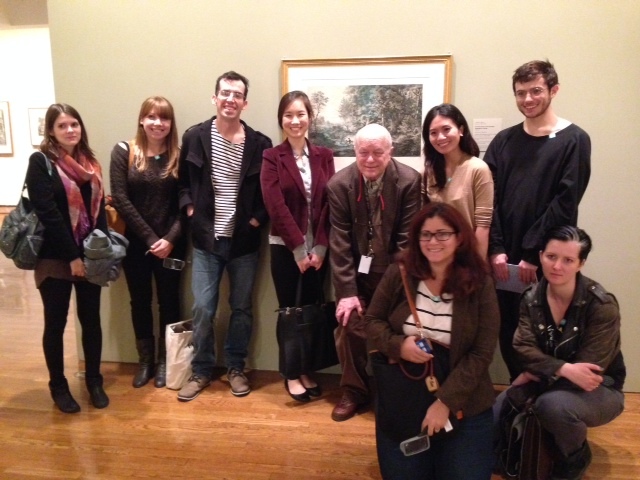 Professor Morton and her students went to the Philadelphia Museum of Art on Oct. 12 to see the exhibition “The Enchanted World of German Romantic Prints.” The curator, John Ittmann, gave them a tour of the show. 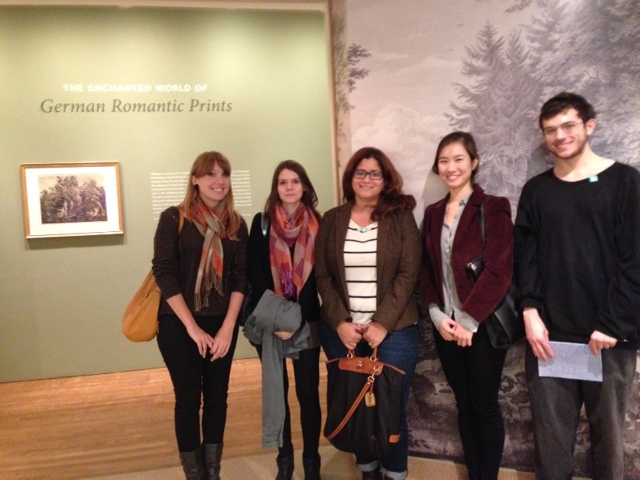 Top Photo : Diana Cox, Jacqueline Snyder, Katerina Fostano, Tali Han, and Neil Creveling. Bottom Photo: Standing: Jacqueline Snyder, Diana Cox, Walter Schlecht, Tali Hann, John Ittmann (the curator), Reggie Aquino,and Neil Creveling, Kneeling: Katerina Fostano and J. Marie Wilkins.